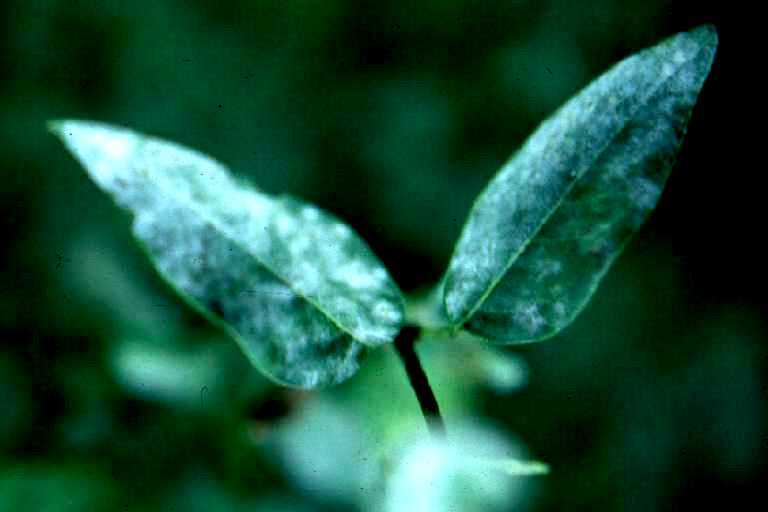 The white splotches seen on these leaves are aggregations of powdery mildew, a type of ascomycete fungi. 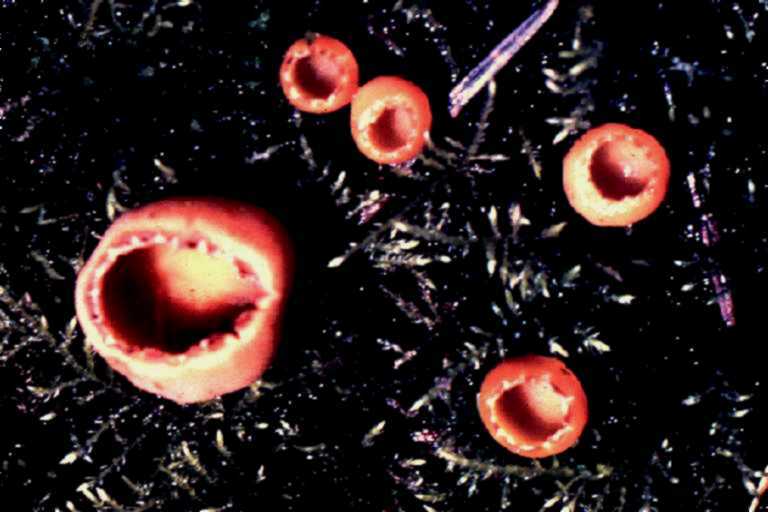 These are specimens of cup fungi, also a type of ascomycete. Ascomycetes are a group of fungi characterized by their production of sexual spores in a sac-like structure called an ascus. These fungi include yeast, powdery mildew, and cup fungi, and many of these produce spores suited for airborne dispersion. The spores are discharged as moisture is provided to the ascus from the atmosphere, causing it to swell and eventually burst. This active discharge releases the spores into the air, and therefore the highest concentrations of ascospores are found in rainy seasons. Many people have reported circumstantial evidence of the allergenicity of ascospores. Such accounts involve correlations between peaks in the concentration of ascospores in the air and peaks of allergic symptoms.